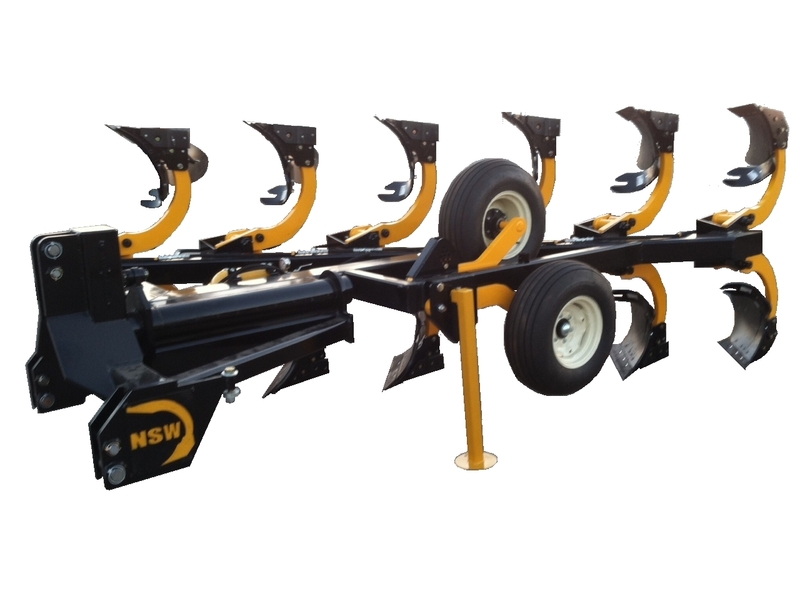 Most American manufacturers of roll-over reset plows have stopped production in lieu of the less expensive “switch” plow. Unfortunately, for farmers burdened with rocky ground, this isn’t a practical solution. 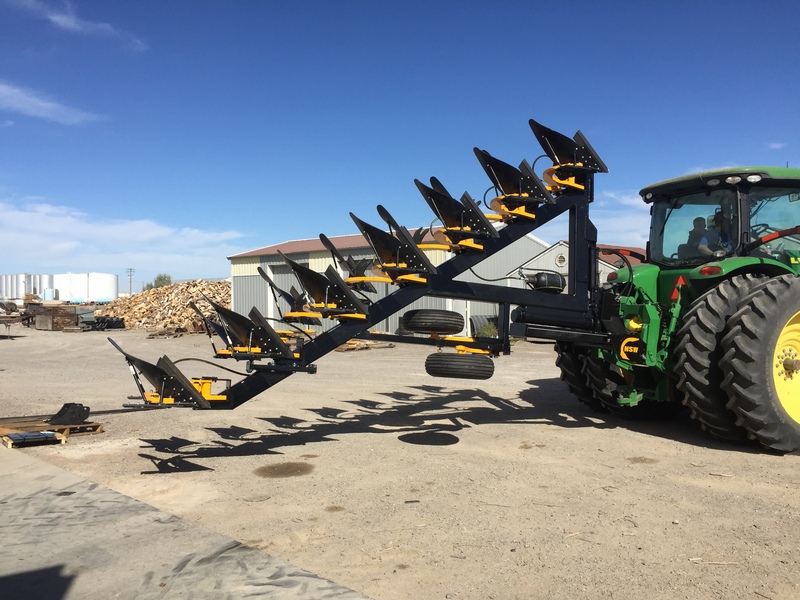 After years of replacing roll over stems, reinforcing three points, and adding additional bottoms, Northside Welding has now added a rollover reset plow to our manufacturing line. 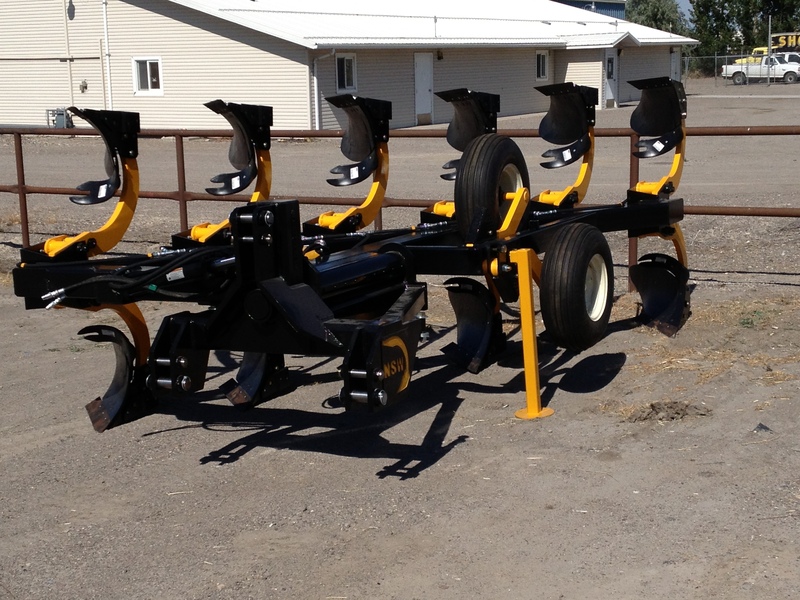 Without trying to reinvent the wheel, we have taken the stronger points of each manufacturer and combined them into one plow. The massive three point comes standard with category III and IV pins. The main frame is constructed with 8” x 6” x .375” tubing. The rollover stem is a hefty 4 15/16” solid shaft, with 36” of bearing surface to roll on. When adjusted to the preferred depth, the wheels easily bolt solid into place with a single bolt, and don’t tear themselves apart flopping back and forth with each roll. 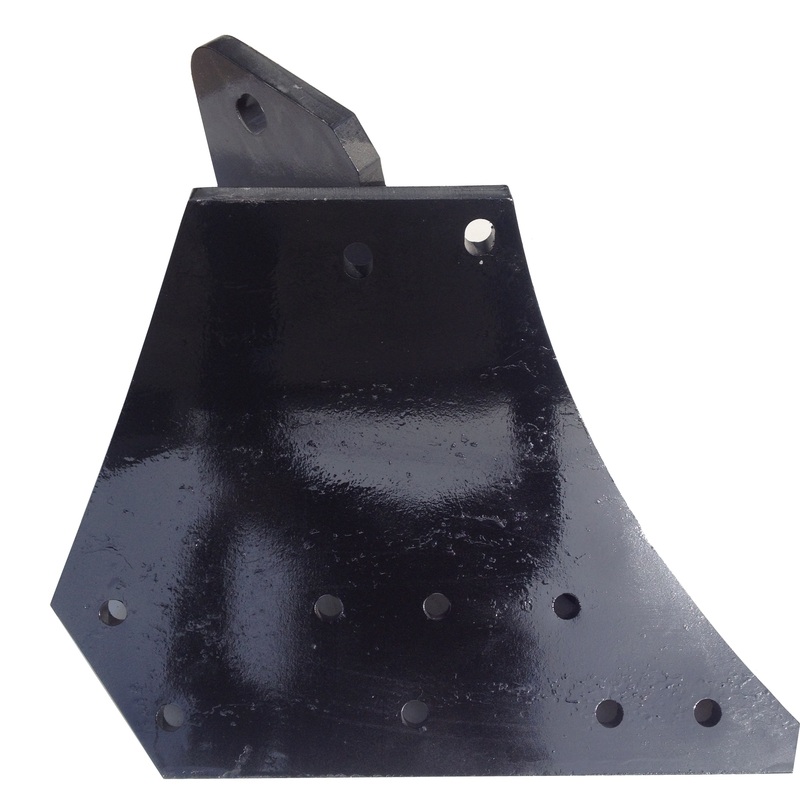 Moving away from the expensive castings, the plow beams are cut from 1 ½” T-1 steel. The frogs are laser cut from 5/8” A-36 steel, resulting in a frog that is more shock resistant and won’t break at the point. 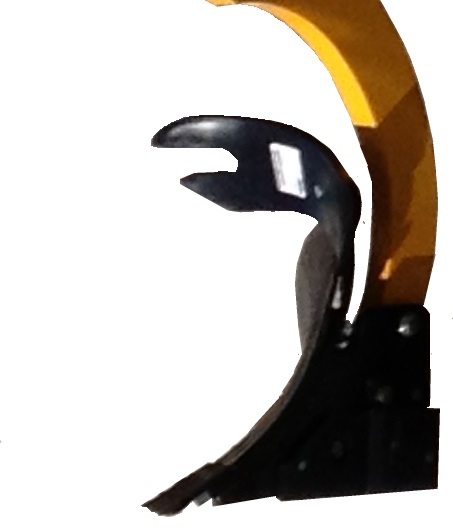 The hydraulic reset system uses a nitrogen accumulator for smooth and reliable reset action. The NSW plow uses readily available Case IH compatible consumables. With models ranging from a 5 bottom (in furrow or on land) to an 8 bottom on land, we can accommodate just about any size of tractor. 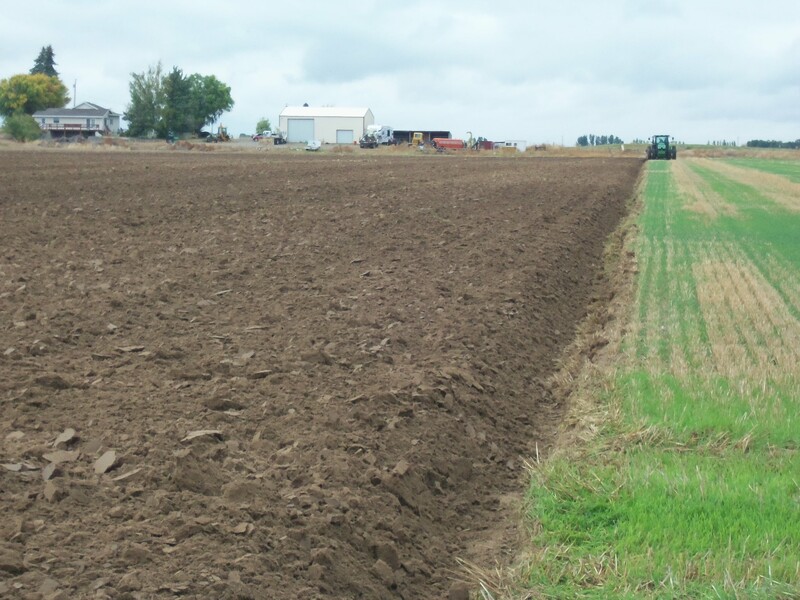 Our most common size, the 6 bottom on land, requires a minimum of 250 HP; however 280 HP is highly recommended for best results (depending on soil condition and plowing depth). 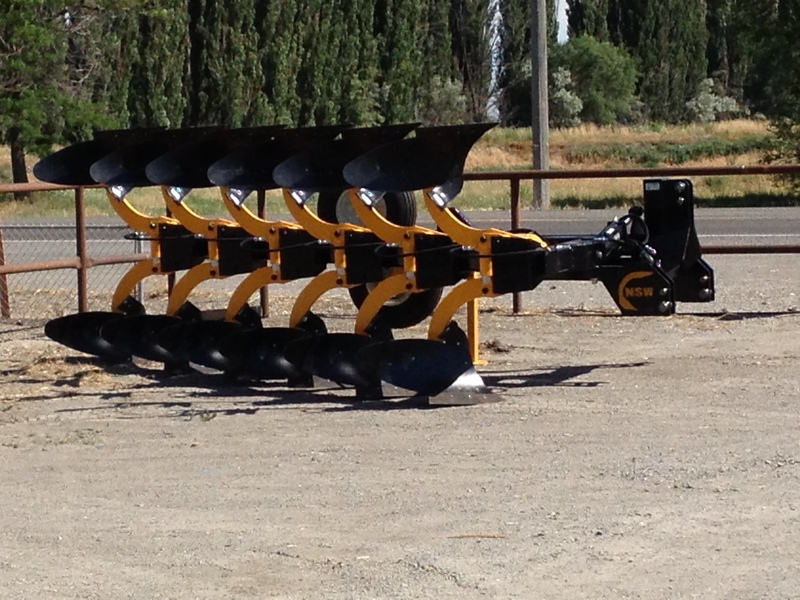 The 7 bottom plow requires a 310 HP and the 8 bottom a 340 HP.